Do you need to register a trademark in Mainland China? Fill in the form below to get in touch with one of the leading trademark registration companies. The importance of registering a trademark in China is often overlooked and sometimes ignored by foreigners. Many are unaware about the fact that China is a first-to-file country, which simply means that the person who register the trademark first, will get all the rights to distribute and sell the products. There are many pitfalls you need to avoid when registering a trademark, it’s also important that you know about the process when registering one. How high are the costs? How long time does it take? I can make the list longer. In this article, I explain the crucial information you need to know when registering a trademark in China. Why should I register a trademark in China? Applying for a trademark is a crucial and an important step that’s often ignored or overlooked by exporters. China is a “first-to-file” country which means that the person who registers a trademark for a product, will also have all exclusive rights to distribute and sell the product. You won’t, unless you register the trademark first. The fact is that it’s practically impossible to engage in the Chinese market long term, without registering your trademark. Not only do many Chinese e-commerce websites require that you register your trademark overseas (and in China). If you plan to sell via a local distributor, they will request you upfront to register your trademark, before any trading takes place. Because you can’t license your products to a distributor without having your trademark (brand) registered in China. You should also be careful with distributors who insist to register your trademark for you, might it be out of good will, or not. Worth mentioning is that you won’t have anything to say in case a Chinese individual decides to sell your products, without your consent. How can you prove that someone has infringed on your brand, when it’s not even registered? You can’t claim something that can’t be demonstrated to be yours. In China, there’s even a word called “trademark squatters” for persons who actively try to register trademarks for the purpose of earning money, or to make things harder for you. It can be everything from a competitor who wants to reduce your chances of making profits in China, to persons who file a number of trademarks for the purpose of selling these later. Sadly, some exporters simply have to pay the fee required (sometimes stretching up to USD 250,000) to get “back” the trademark (also called bad-faith registrations). What other choice do you have, if the remaining option is to get kicked out of the Chinese market. b. Submit the application form and other relevant documents. In China, SAIC (State Administration for Industry and Commerce) is responsible to handle the applications of trademarks. c. SAIC reviews the application and confirms whether you can proceed or if complementaries are needed. Registering a trademark is nothing you do in a trice. It’s a lengthy process that should be started well in advance. The process can take everything from 12-16 months, depending on how smooth the registration process goes. But the Chinese government works actively trying to reduce the processing time. How much does it cost to register a trademark in China? b. Registration fee of the trademark for 1 class and 10 sub-categories: around USD 1000 (including fees for the services provided by the lawyer). Government fees land at around 100 USD, but these fees are normally included in the complete service package provided from trademark agencies. If you’re willing to take on the Chinese market, registration of a trademark shouldn’t be seen as something you can neglect, risking that your products can’t be salable in China. Can foreign companies register trademarks in China? Fortunately, my answer to this question is: Yes. In fact, if you’re a non-resident in China, or have a foreign company, you need to seek help from a trademark agency. The application is made through China’s national registration system, also called CTMO (more about CTMO later in this article). For how long is my trademark registration valid? A national trademark registration and international trademark registration are both valid for a period of 10 years. You need to apply for a renewal at least 6 months before expiration, it will then be renewed for additionally 10 years. Keep in mind that if you don’t use the products for commercial purposes within a time period of 3 years, you might lose the trademark. What happens if I don’t renew the trademark registration in time? If you don’t renew your trademark registration in time, it will be cancelled. Be sure to renew the trademark registration well in advance. What happens if I get refused to use the trademark? 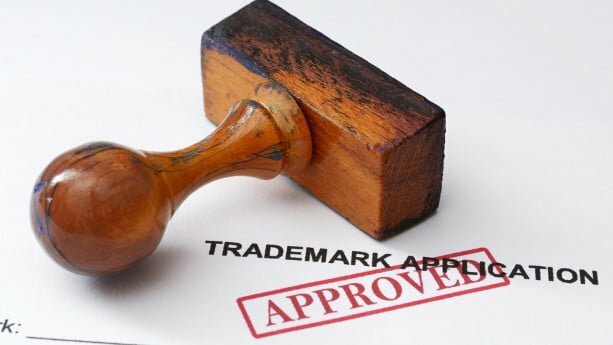 If you’re refused to use the trademark for some reason, your trademark agency needs to contact TRAB (Trademark Review and Adjudication board) and submit an opposition. TRAB will handle the opposition during a time period of 9-12 months. Can I use a foreign trademark agency for my registration in China? No, if you’re not a resident in China or have a foreign company, you need to let a Chinese trademark agency handle the application for you. Whilst an international registration requires that you make the application in English, French or Spanish, a national registration in China requires that the application is written in Chinese. How should I name my Chinese trademark? It’s important that you choose a Chinese trademark that translates well and sounds good. Ralph Lauren is a brand which decided to not register a Chinese trademark, which resulted in that the Chinese public came up with a name themselves: San Jiao Ma, which literally means ‘three legged horse’. Once it’s out there, it’s difficult to change. Phonetic translations means that you compose characters in a way to make the Chinese name sound similar to the English name. Some foreign companies are lucky when coming up with phonetic names, as the name itself means something positive in the Chinese language. For example, Coca Cola is translated as ‘Ke Kou Ke Le’, which doesn’t only sound similar to the English name, but also means “Very tasty and happy”. This simply means that you choose a Chinese name that’s corresponding well to your English brand in written text, but not when it’s pronounced, nor does it have an extravagance meaning. For example, Microsoft is translated into Wei Ruan in China, which simply means: Microsoft. However, it doesn’t bring any attributes to the positive things about the company, or have any similarities with the pronunciation. Another example is Apple, which is translated into Pingguo that means ‘apple’ in Chinese. Many car brands have phonetic translations. This includes Rolls Royce, translated as ‘Lao Si Lai Si’, and Ferrari that’s translated as ‘Fa La Li’. 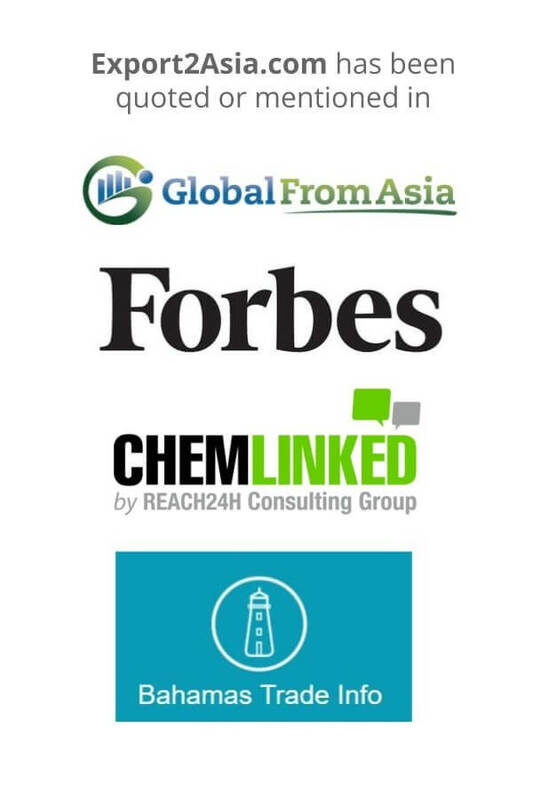 Be sure to work with a native Chinese speaker who specializes in local marketing or PR. They can help you in the process to come up with a Chinese name that suits your brand. Are Hong Kong trademarks valid in Mainland China? Even if the UK transferred Hong Kong’s sovereignty to China in 1997, you can’t use your Chinese trademark in Hong Kong. The Chinese government claims Hong Kong’s relation with China to be under a “one country, two systems” structure, something that’s applicable for the legal system, also covering trademarks. Are US or EU trademarks valid in China? EU-countries, China and United States are all parts of the so called Madrid Protocol, covered by WIPO (World Intellectual Property Organization). However, trademarks registered internationally under the Madrid Protocol, are not protected globally. Even if you have a registered trademark in Germany or France, doesn’t mean you’re protected in China. You need to make a separate (national) registration in China. Even if China and Europe use the same registration systems for international classification of goods and services (covered under the Nice Agreement), China has unique subclasses which aren’t used in Europe. It’s important that you confirm what classes (there are 45 of them) and subclasses that should be used for your specific products. To be fully protected, you can use subclasses that have little relevance with your products as well. An important point is that China has its own regulations to trademark law, mainly because the Chinese language differs with the characters and tones used. How can I search for trademarks registered in China? Many exporters know little about the importance of registering their trademark in China. In fact, China is a first to file country, which means that if you don’t register your trademark in time, someone else might, and probably will, do it. In countries like Singapore, registering your trademark should be one of your first tasks. The process to register for a trademark takes around 16-24 months, be sure to start the process well in advance. If you’re not resident in China, or have a foreign company, you’re obliged to work with a local trademark agent who will help you to register the trademark. The cost usually lands at a bit more than USD 1000, but is negligible in comparison to the importance of registering your trademark. If you want to know more about how you can register your trademark in China, I recommend you to read the complete article. If you need to register a trademark and look for a trademark registration company, you can fill in the form below to get in touch with the agent we recommend at the moment. You’ll also get a 10% discount for trademark searches! According to The National People’s Congress of The People’s Republic of China’s website, you don’t necessarily need to be one person applying for the trademark. Article 5: Two or more natural persons, legal persons or other organizations may jointly apply to the Trademark Office for the registration of the same trademark and jointly enjoy and exercise the exclusive right to use the trademark. one question though: what is the approximately cost in TOTAL? Around 500-600 US dollars to get help from a service provider and 300 CNY for government fee. we have 1 brand and will apply for 5 classes. so it will be times 5? or how much it will be? Normally, there’s a small price reduction if adding classes. Looking at iGerent for example, there’s a reduction of 10% for the following classes. Thanks for the information Marcus! I already have a company in the US for 20 years and have been making clothing in China for 10 years. I was told that someone is trying to register my company name as a trademark. What can I do to stop this? Is there a Chinese registration company that you can recommend for me to use. Can firms contest someone else registering your name? I don’t intend to sell in China. First of all, sorry for my late reply. Who told you that your trademark is being registered, do you know how far in the process they are in that case? 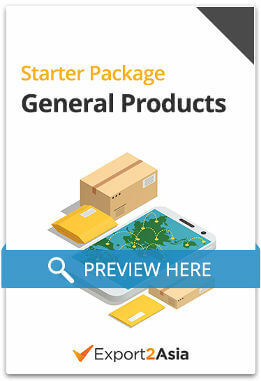 I would recommend you to contact iGerent and see how they can help you. And you should check CTMO’s as well. You might be able to see the status of the application there. Has anyone used Igerent to register a Chinese Trademark and found their service commendable? Or recommend any other service? iGerent is one of the leading trademark registration agents and operate worldwide. You should preferably have trademark registration in both the US and China, if you intend to sell in both countries. The time is 12-16 months to register for a trademark. Whats is the form of payment of the government fee? You can just like the page first, then I’ll be able to invite you to the group. 1) We manufacture filling, sealing, end of lines machines for mostly dairy industry. From your experience, do you think it’s really necessary to register a trademark in China? We have just started thinking of exporting our products to China, so all of this is very new to us. 2) Once the process has started (and we are the first ones to register certain trademark) can we be active on the Chinese market, meaning participating in fair trade shows, meeting with clients etc.? 1) I always recommend companies to register their trademarks in China, if they intend to do business/have operations there. 2) Once the registration process has started, no one else can register the same trademark. So it shouldn’t be any issues to participate in these business activities.